Samsung, the official worldwide Olympic partner for mobile communications went further than just provide wireless telecommunications equipment for the Olympic guys, but made hotel users have an awesome experience. 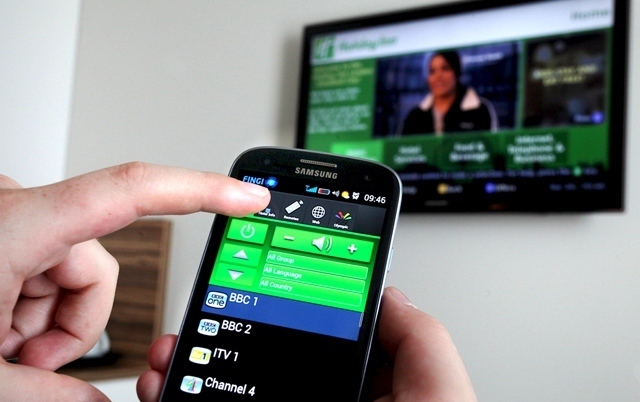 They partnered with Holiday Inn in London with Fingi Inc to get an application downloadable to the Samsung Galaxy S III and will enable users of the hotel services get a full suite of hotel services on their Galaxy S III device. 40 rooms in the hotel will be equipped with a Galaxy S III that will be pre-installed with the custom app that will allow most of the hotel services be run off the mobile phone. These will include room door opening, air conditioning, windows opening, room security, TV control, lighting and many others. The phone will also act as an in-room extension to the hotel phone. Users will also get Olympic games information, results and updates from the phone and will also add location based offers. The 40 rooms will be first available for VIPs staying at Holiday Inn London Stratford City. The Holiday Inn guests will access these services using the app on the Galaxy S III smartphone, integrating into existing hotel property management, point of sale, and PBX systems, increasing guest satisfaction and operational efficiency. Using a familiar smartphone experience on the Galaxy S III smartphone, the products and services will bring revenue generation to in-room technology at the Holiday Inn. The combination of travel industry products and services on the Galaxy S III smartphone are a new and revolutionary solution for hospitality properties through an integrated customer-branded platform for smart-room technologies, communications, mobile voice and data solutions with on-site amenities and services.